An important role in saving business costs is an effective delivery plan for goods, the collection of orders or the trades of sales representatives. Reducing planning time and delivery time itself, lower fuel costs and last but not least customer satisfaction with professional service, that is possible thanks to TracePlan. Another important point is the biggest advantage to hire drivers from anywhere without knowing the area, you don’t have to train them. New driver is as equaly capable as the driver with years of experiences in the area. The route needs to be uploaded to the system ideally via csv file that contains data on the points in the exact positioning format over Latitude and Longitude. You can also add points of interest (locations) by clicking on the map. The system recalculates the route length and arrival times. You can add a note to each point that appears to the driver on arrival. It is possible to add time to the individual places, which will then be reflected in the route plan. 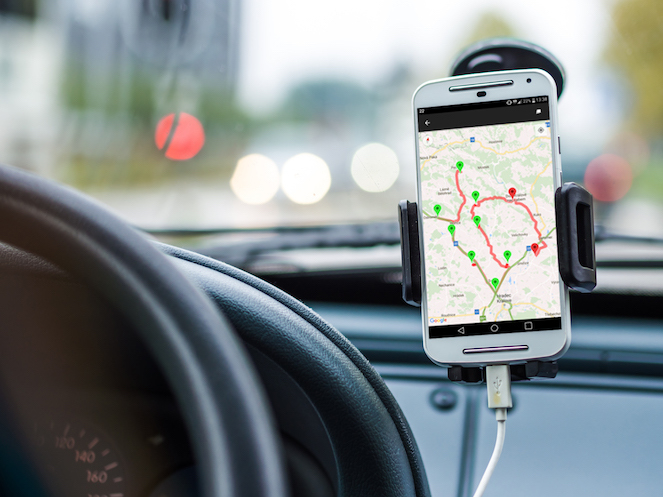 Notes and locations can also be edited while driving according to the current situation.The driver is navigated to each point by native navigation used in a mobile or tablet, the application Waze can also be used. Upon arrival at the point of interest, driver confirms the fulfillment of the order or completes the feedback note to the Positrex / TracePlan app. Updated status is visible for the dispatcher.